West of Shaw is the Logan Circle neighbourhood, where the main drag of 14th street is lined with DC’s hottest eateries and home décor stores. If it’s the weekend, start the day like a local with brunch at Le Diplomate. The French brasserie gives major Paris vibes with subway-tiled dining rooms, gorgeous crown moulding and arguably the best steak tartare this side of the Atlantic Ocean. Walk off brunch with a stroll up 14th street, stopping to admire the quirky vintage home furnishings at Miss Pixie’s Furnishings & Whatnot and the futuristic-looking light fixtures at Urban Essentials. Jefferson Memorial and Tidal Basin, Washington DC, USA. Continue north en route to the U Street Corridor, pausing to reflect at the African American Civil War Memorial honouring the free, and in some cases still enslaved, African American men who fought during the American Civil War. If time allows, stop into the nearby African American Civil War Museum to see historic documents, photographs and exhibits dedicated to the names on the monument. Once you hit U Street, welcome to ‘Black Broadway’. Le Diplomate restaurant gives major Paris vibes with subway-tiled dining rooms, and arguably the best steak tartare this side of the Atlantic Ocean. The neighbourhood earned the nickname much in part to its native son, jazz legend Duke Ellington, and a host of famous African American artists including Cab Calloway and Pearl Bailey who performed in the area’s theatres in the early 20th century. 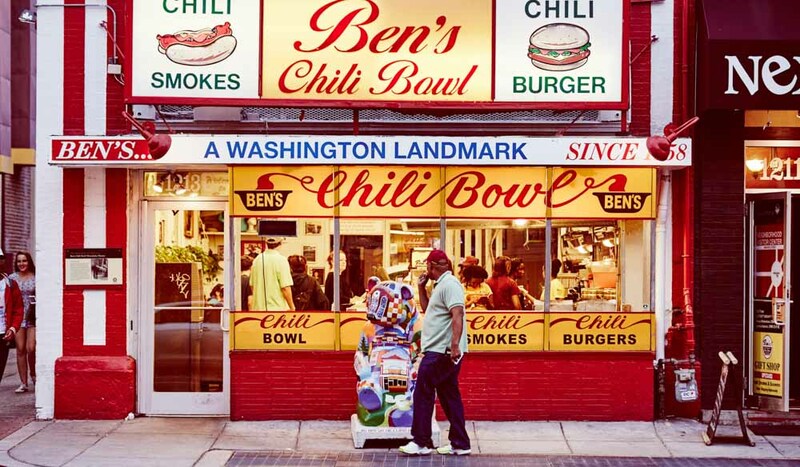 However, since the 19th century, U Street has been the site of African American owned businesses, rowhouses and restaurants and is home to Howard University, a historically black university. 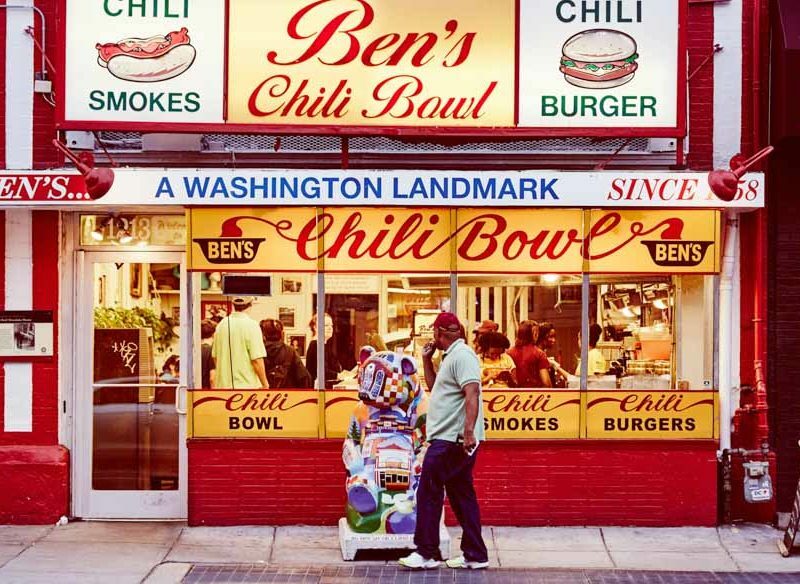 Stop by long-standing local restaurant (and one of Obama’s favourites) Ben’s Chili Bowl for a signature half smoke sausage, before checking out the line-up at the recently refurbished Howard Theatre, where a large sculpture of Ellington in front of an abstracted piano is erected in his honour.